Cutting out these 3 items from your diet is going to make a huge impact in your weight loss efforts! Giving up the food you love is never fun. You enjoy them and probably do so regularly. Cutting them out is going to feel like you’re depriving yourself. If you want to lose weight, giving up certain foods and drinks is necessary. The good news is you will get used to your new habits, just as you did the old ones that weren’t serving you well. Here are three foods not to eat to lose weight that you should consider giving up today. Fast food is convenient and tastes good, but when you’re trying to lose weight, it’s one of the worst things you can indulge in. Fast food is loaded with empty calories. You won’t get much nutrition from a fast food meal and you’ll be hungry again soon, which means you’ll likely end up eating more. The calories in a fast food meal can be as much as you need for an entire day or more. Consuming a fast food meal will require more effort to burn off. It’s best to go cold-turkey when coming off fast-food because it is addictive, and you will to continue to crave it. It’s better to get your palate used to different foods. It might be hard to imagine now, but you will begin to crave healthy foods in time. If you’re used to picking up a morning specialty coffee to wake up, you are adding more calories to your daily total than are necessary. While they may be ‘foods’ technically, we would be amiss if we didn’t count sodas and other sugary drinks into the list of foods not to eat to lose weight. These types of drinks might taste good and keep you alert for a couple of hours, but they are also contributing to your inability to lose weight. Soda contains more sugar than you need in a day. Sugar is a contributor to weight gain. Water should be your beverage of choice when trying to lose weight and for a healthy lifestyle. Water will also wake you up and help you focus better than caffeine, which will wear off quickly. It’s better to think of sodas and specialty coffees as rare treats and not drinks you rely on to get through the day. Processed foods are another convenience you may have gotten used to. When you lead a busy life, they seem like a good choice. 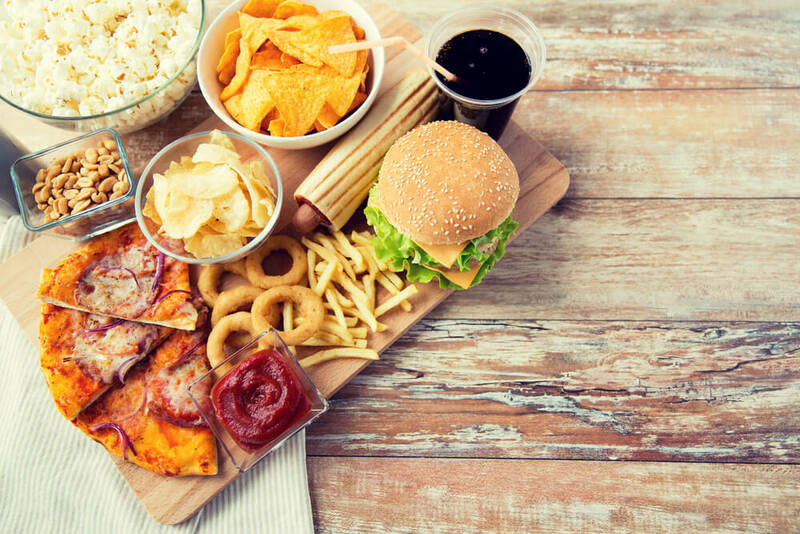 Unfortunately, processed foods are filled with ingredients that will sabotage your weight loss efforts. They are packed with sugar, refined flour, and fats. These types of foods include pastries, cakes, cookies, white bread, boxed pasta dishes, and other pre-made meals. If you’re trying to lose weight, eating fresh foods, especially vegetables and fruits, will benefit your efforts. The more meals you make from scratch, the more control you have over what goes into your body, which is ideal for health and weight loss. Losing weight and getting healthy is possible. To be successful, you may have to cut out some foods not to eat to lose weight and drinks you’ve grown used to enjoying regularly. For more recipes, tips, and info to live your healthiest life, visit BetterHealthKare.com.